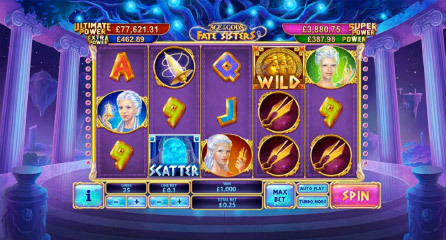 Fly Casino is pleased to present Age of the Gods Fate Sisters online slot. This new addition to Fly Casino is based on the Age of the God’s progressive line-up of slots. Played with 25 paylines, you will enjoy all of the great in-game features and two main bonus rounds while enjoying this multi-level progressive slot game. Play it today! 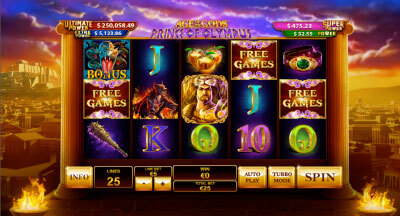 Fly Casino is pleased to present Prince of Olympus online slot. This amazing addition to Fly Casino is based on the Age of the God’s progressive line-up of slots. Played with 25 paylines, you will enjoy all of the striking ‘hulk-sized’ graphics and many bonus features while enjoying this multi-level progressive slot game. Play it today! $50 Gets $60.00! From 00:00GMT until 23:59 GMT, all members are invited to receive a £/€/$60.00 bonus on your deposits £/€/$50 or more made. Claim 2X! 130% Value Monday! From 00:00GMT until 23:59 GMT, all members are invited to receive a 130% bonus up to 130.00 on your deposits of $/£/€10 or more. GET $350.00 TODAY! From 00:00GMT until 23:59 GMT, all members are invited to receive a 65% bonus up to 350.00 on your first deposit of £/€/$30 or more made.